KUALA LUMPUR (AFP) - An international musicians' group has called for a global boycott of recruitment by the Malaysian Philharmonic Orchestra (MPO), saying the symphony sacked nine members without cause. The Paris-based International Federation of Musicians (IFM) posted on its website a strongly-worded attack on the sackings, in a rare note of discord in the usually genteel world of symphony music. 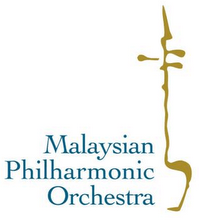 The IFM said the Malaysian Philharmonic's new chief executive officer (CEO), Ms Nor Raina Yong Abdullah, in a cost-cutting move had issued non-renewal notices to nine musicians including four founding members of the orchestra. In the statement, posted on Monday, the federation said the sackings came "for no reason whatsoever... destroying their livelihoods".